Balfe’s “The Bohemian Girl” was a popular light opera on the English stage from the nineteenth century. 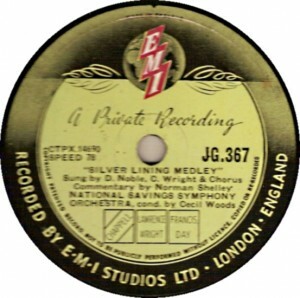 Various popular arias from the work were a staple of the record catalogues in the 78rpm era, and its overture remained a favourite. The present recording is a typical “vocal gems” compilation, including three of the most popular solos and some ensemble passages. Licette and Noble remain fairly familiar names, though Russell (who sang Calaf) and Brindle (a stalwart of the Moody-Manners opera company) are barely remembered now.